This is the ultimate spoon which makes curry rice delicious. The edge of the spoon has a spatula, which prevents roux from splattering, and cuts and divides ingredients. Furthermore, the shape of the curved surface of the plate is asymmetrical, which is taboo in the cutlery production industry. Because of this shape, it is easier to eat and swallow roux. 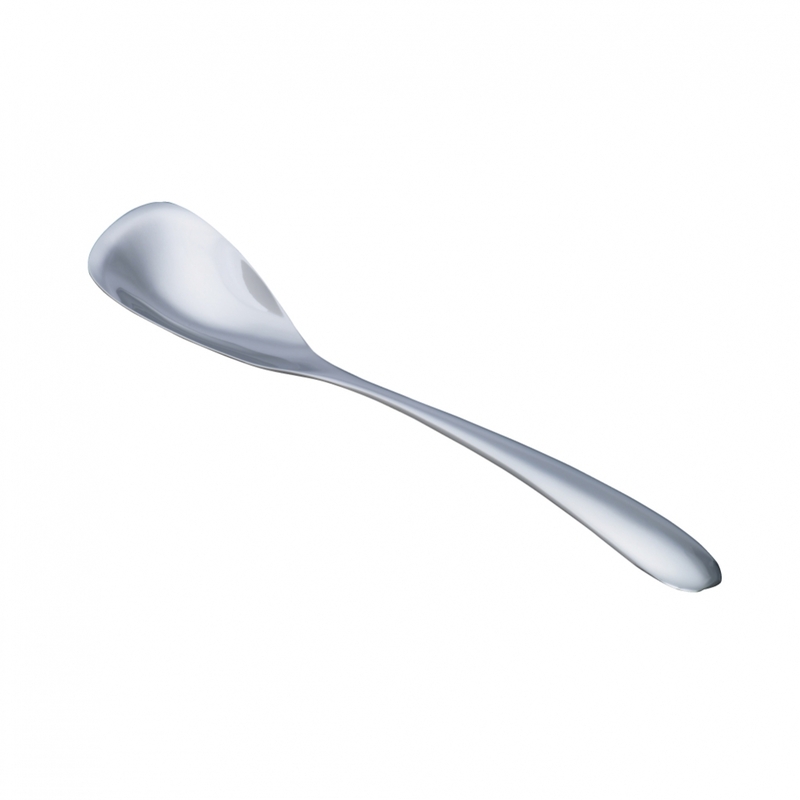 This spoon fulfills the user's wishes.